"Of all the worst things that could happen, this is THE. WORST. POSSIBLE. THING!" 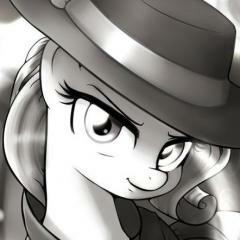 Rarity stammered feebly, tears in her eyes, as she paced circles around a small colt, lying prone on a cold cave floor. The Ponyville top fashionista was quick to making such declarations, and usually they were admittedly overblown. She had a definite habit of over-exaggerating matters for dramatic effect, but in this case her words might indeed be accurate for once. Her current situation was just that dire. It had been a pleasant, uneventful day of gem hunting in the mountains and hills just outside of Ponyville. Spike had been off with Twilight Sparkle attending to business in Canterlot for the week, so Rarity had instead brought Applejack's young cousin, Valen Orange, along with her to assist her. Things had gone well at first. Valen had unearthed many gems, they had had a nice lunch and had some pleasant if rather elliptical conversations. That was when Rarity's gem finding magic brought her attention to an incredible bounty of buried gems which if successfully extracted would have sent them home early. Making what in hindsight was a critical mistake, Rarity had chosen to dig out those gems and in doing so a massive cave in had been triggered. Her and Valen had been swept up in an underground stream that both nearly drowned the young colt and saw his head collide with a concussion inducing rock. Rarity had managed to save herself and the colt, but while his breathing had steadied, he remained unconscious. The unicorn herself was bruised and battered, but still lucid and without critical injury. She was, however, in the depths of some deep, underground cave, all alone with an unconscious colt. Hours had passed. Several hours. Rarity wasn't really sure how many. She had long since stopped trying to keep track of such things. Instead she merely sat there and occasionally got up and paced, hoping Valen would return to her soon. Eventually she started to wonder if the colt would ever wake up. How could she ever explain it to Applejack if he didn't? How could she explain it to the colt's parents, whom she didn't even know? She was shackled with guilt at these thoughts, but they were not the worst that crossed her mind. At that moment, Rarity couldn't say for certain she'd ever see Applejack, any of her friends or even the light of day again. This underground cavern could very well be the end of her. Grim thoughts increased the rate of Rarity's current pacing. She was hungry. The food had been left in their saddlebags which had been left atop the wagon they left behind. If their friends did go after the two of them, that wagon would be the only clue they had to go on. Maybe that would be enough. After so long it was proving harder and harder to be hopeful. At the same time, Rarity was a pony who had faith in her friends. If any group of ponies could find her, it was them. Maybe, just maybe, they would come to the rescue. "Oh, Valen darling, you need to wake up," she muttered quietly, as she looked toward the colt and let out a small sigh. Fluttershy paced back forth across her cottage in worry. This was just not like Rarity, not at all. Rarity did not miss appointments, not without good reason. Today was supposed to have been their weekly spa visit. Fluttershy had waited in the lobby of the spa for two hours, but Rarity had never arrived. She knew that the unicorn was out on a gem-finding expedition, but she was supposed to have been back by their appointment. Fluttershy wanted to believe she had just been delayed, but her mind kept coming up with terrible disasters that could have befallen her friend. Being re-captured by the diamond dogs was at the top of that list. Just as she started to think that her hooves would start making grooves in the floor, a white bunny zipped in through the pet door. "Angel!" Fluttershy cried out, hopefully. "Did you find her??" Fluttershy had sent Angel and several of her other friends to look for Rarity. The white bunny shook his head; he and the other searchers not seen the white unicorn at all. But then, Angel crouched down on all fours. He pantomimed as though he was pulling a heavy load. "You didn't find her, but you found her cart?" Fluttershy asked. Angel nodded his head rapidly in acknowledgement. Fluttershy looked out the window at the rapidly setting sun and groaned, her worry only increasing. "Even if she was running behind, she still should have come back by now, and she wouldn't have left the cart behind..."
Fluttershy shook her head, making a decision. "Angel, I'm really worried. I think we need to go talk to Apple Jack." Angel nodded grimly in agreement, then clambered up onto her back. The pegasus stepped outside and took to the air, the bunny clinging to her mane. The pair flew low over Sweet Apple Acres, looking for the familiar orange mare. Applejack would still be working at this time of the afternoon knowing her. Finally, Fluttershy spotted her tending the cabbages. She descended, landing in front of the other mare. "Oh, Applejack, thank goodness you're here." she said in a rush. "Rarity never came to the spa this afternoon and she never misses appointments and her cart is still out there and she should have come back by now and what if the diamond dogs got her again?!?!" Earth ponies were naturally tough creatures, their gift since creation granted in order to balance out the different species. Their fortitude was without equal, their bodies hardened against actions and events that would tear low their counterparts. They could withstand the cutting off of nutrients and the predations of nature in a superior fashion. They had a pre-natural connection to nature that allowed them to seemingly adapt faster and deal with the environment. Unicorns had their vibrant and swirling magical energies that manifested in both mind-blowing displays and the subtle manipulation of the world around them. Pegasi could fly on wings of near impossible make, soaring and blasting in such ways as to render unfit the imaginations of ground-bound foals such as he, and the sky was the canvass that they used to paint Equestria their colors and themes with the brush of nature. But the Earth ponies? Nothing else in the known world could compare to their fortitude. Except for Valen, who was something of a wallflower. Valen felt like a unicorn. His head had been hammered so hard that his loss of consciousness had been swift and complete. He was but a colt, unaccustomed to such slights against his physical being. That boulder may have easily brought to unconsciousness anypony, but Valen was especially vulnerable to its power. He wasn't even of average build or toughness and his fragile aura was not a show to be put on for the benefit of others. That boulder had knocked him silly and Valen spent the next few hours traversing the landscapes of a mind in chaos and reeling from forces beyond its control. Few things were as scary as being stuck in a dreamscape of confused, terrified foal whose mind had been damaged. And few things were as terrifying as occasionaly awaking for a brief moment before being dragged back into the dreamscape. Eventually though, his natural Earth pony gifts started to hold back the unenviable tide that had swept over him and crushed signs of further harm. Progress was slow but time was on his side and as the hours rolled on, his mind started to awaken from its half-crazed and dazed stupor. How long had it been since he had last seen the sun was the question that had no answer as time had both had no meaning and felt much longer than it had been, and the only coherent thoughts that emerged from the congruent molasses of his feeble mind were those concerned with the empty darkness that filled his vision and nerve-splitting pain that ambushed him as consciousness came to him. "Ugghhh..." He moaned pitifully as he tried and failed to bring himself up with his right hoof, which buckled underneath the pressure and sent him back down to the rocky floor. The darkness was obscene and perverse as it closed in from every direction, fear inducing as the dreamscape's version of it stalking him. But his eyes slowly adjusted and formations of rock, stone, and the trickling of a dying stream nearby. Valen's head throbbed immeasurably with pain, every retort sending spots to cover his eyes and silencing the world to his ears. Every inch of him stung, the cascade of rocks and cave edges having conspired gleefully to tenderize him and succeeding in doing so. He was wet, or at the very least had once been wet, his well-tamed pelt now wild and matted as water had dried off of him naturally, leaving his entire body feeling maddeningly itchy. The only other sound than the jackhammer beating of his heart and the trickle of the stream was Rarity, whose pacing had some righteousness and noise behind it. It was a comforting sight, even if her normally aesthetically perfect form was now just as mangy as his. Still, she pulled it off and Valen started to believe that there were things she was not able to do and whatever those things were, they mattered not. He was simply overjoyed to see that she was as well as a pony could be, given the circumstances. Valen summoned his reserves of strength and staggered himself up, and he stood briefly on all fours before tilting to the side and stumbling until he rested on his right side against a wall. A shot of pain and a tear unshed by conscious action. "Miss Rarity, are you okay? We...are in a cave. Why are...what happened? My head is killing me and my hooves don't feel so sure," Valen asked lowly, his voice seemingly booting up as slowly as could be mustered as his head very slowly did circles. He reached up to rub the object that was causing such deadly pain and immediately regretted it, hoof shooting away from a bump so egregious that he considered himself a stump-unicorn. He let out a whimper. Applejack was plucking happily at her gardening. This time, taking care of her crop of cabbage she had on the small side yard from the barn, where she grew most of her non-apple crops. Applejack was in a good mood, and couldn't wait for her little cousin to get back from gem huntin' with Rarity so that he could yap on about his adventures while she listened. Applejack loved hearing stories from other ponies, and this would be Valen's first legitimate story to tell. Applejack would have his full attention. Fluttershy came briskly towards her, and landed to Applejack's straight vision. As she landed, Applejack felt the brush of wind flowing from the pegasus' wings. Applejack heard her story, and then rolled her eyes. "Simmer down, Sally. There ain't nuttin to worry about. Rarity can take care of herself, even if there are diamond dogs; remember last time?" "Simmer down, Sally. There ain't nuttin to worry about. Rarity can take care of herself, even if there are diamond dogs; remember last time?" Fluttershy panted for a moment, trying calm herself down. She wasn't going to be able to convince Applejack if she was panicking. "But.. but.. she..." she started. Ok, not calm enough yet... The pegasus took a deep breath to settle herself. Something occurred to her then. She turned to the bunny on her back. "Angel, the cart, were there still jewels in the cart?" The white rabbit released his death grip on the pony's mane. He HATED flying. He was smoothing down his head fur when Fluttershy asked him a question. He tapped a foot thoughtfully, before finally nodding. Yes, there had still been jewels in the cart. Fluttershy turned back to the the orange pony. "Applejack, if it was diamond dogs, they would have taken all of the jewels, wouldn't they?" she asked. "And Rarity usually doesn't dig up her finds. Is Spike or somepony else with her today? That would make two ponies missing!" She got a pleading look in her eyes. "Please, can you just go with me and take a look around??" Applejack looked at Fluttershy and Angel as the yellow pegasus pleaded with her that a mild search should be the least they should do. Applejack was in the middle of her cabbage gardening, and she hated leaving the crops uneven with work done on different days. So it was a lot for her to sacrifice for what seemed like a non-emergency so far now. But she gave in. "No, it was Valen that Rarity brought this time." Applejack sighed. "Ok, ok. If ya want, I kin help you look for them--don't get your mane in a tangle." Applejack went over to the nearest tree to lay down her tools and took a rag to wipe the dirt off her face. She set the rag down and looked relaxed in her stance. "Rarity's been very careful with that kind of stuff, and her judgment is good enough. I bet we wont find any surprises." Suddenly, Rainbow Dash dropped out of the sky. Well, actually, she dropped out of the branches of the tree above, leaving behind the pillow and blanket she had stashed up there for her regular Sweet Apple Acres nap. "Not without me, you're not! Rarity's not the sort to just leave gems laying around - they might get scratched! She cares about her outfits too much! Her, out in the middle of nowhere, with scratched gems and without her fainting couch? Not!" Rainbow Dash puffed out her chest, and pulled goggles out of nowhere to prop up on her forehead. "You're not going to go find Rarity without my help!" A simply groan brought Rarity to attention. She stopped her pacing, as her eyes lit up with hope. Quickly, she trotted back toward the colt and watched with glee as his eyes began to open and find focus. "Miss Rarity, are you okay? We...are in a cave. Why are...what happened? My head is killing me and my hooves don't feel so sure. What happened?!" The colt spoke, and in a stronger voice than Rarity might have expected. Overwhelming relief swept over her as she dropped down to hug the colt tightly. "Oh, thank Celestia! You haven't a clue how I worried, darling," Rarity exclaimed as she embraced the colt. "I wasn't sure when you were going to wake up... or even if you were with that kind of bump on your head." She stepped back, figuring it best to give Valen space, since he was obviously still injured and in pain. She continued to smile at him. Just having him awake here with her was the greatest of relief, even if it remained that they're situation was quite dire. "We fell, Valen. The ground gave in when we removed those gems and we fell through. We're currently somewhere underground, with no food and no way to contact anypony on the outside..." Rarity said with a sigh, hoping the colt stayed as calm as he was able. "I don't know if there's a way out of here, but if there is, now that you're awake, we can try looking for it, darling." She smiled softly to the colt. "Of course that can wait until you've rested and recovered a little. I wouldn't want to strain you after all of what happened." "No, it was Valen that Rarity brought this time." Fluttershy didn't immediately recognize that name in her panicked state. So Spike wasn't with Rarity? But who was this Valen? Then she remembered; Winter Wrap Up, the poor colt that had wandered into a patch of poison joke. That just made her more worried. Spike, even though he was just a cute little baby dragon, was definitely a tough little guy. Valen was a city colt. What if something had happened to both of them? "Ok, ok. If ya want, I kin help you look for them--don't get your mane in a tangle. Rarity's been very careful with that kind of stuff, and her judgment is good enough. I bet we wont find any surprises." Fluttershy breathed in relief. "Oh, thank you, Applejack," she said, jumping to hover in the air a bit. She was disappointed that Applejack still didn't seem to believe her, but at least she was coming. Just then, something fell out of the tree right in front of her! With a frightened squeak, she zipped off behind another tree, leaving Angel to thump to the ground where the pegasus had been. "Not without me, you're not! Rarity's not the sort to just leave gems laying around - they might get scratched! She cares about her outfits too much! Her, out in the middle of nowhere, with scratched gems and without her fainting couch? Not!" Fluttershy held a hoof to her chest in relief. She should be used to Rainbow Dash dropping out of nowhere, but she was already nervous to begin with. Angel on the other hoof, glared at the blue pegasus, while rubbing his bruised behind. "You're not going to go find Rarity without my help!" Coming out from hiding, Fluttershy looked to Rainbow in gratitude. "Thank you, too, Rainbow Dash. Now, Angel Bunny says he knows where the cart is, should we go there first?" Rainbow Dash startled Applejack, and she had to admit it. "Beh, ugh, Rainbow!" It was times like this Applejack found the rainbow-maned pegasus slightly annoying. However, she could never let this annoyance get in the way that Rainbow Dash was a necessary force for any search and rescue. "Ok, fine you can come. Just don't leave us behind like you always do, pony girl." "Well of course!" Applejack bent down to Angel's eye-line. "Where is this cart, fuzzy?" However, as the rabbit began to articulate, Applejack was completely oblivious to his gestures of communication. Applejack pondered up at Fluttershy, assuming she knew exactly what he was saying. Rainbow Dash laughed softly as Fluttershy jumped. "Geeze, Fluttershy! It's just me!" she laughed and slapped Fluttershy on the shoulder. "Don't worry, we'll be just fine! What could possibly go wrong? You've got me along!" Privately, though, she worried - Rarity hadn't seemed herself, lately. She'd been acting kinda weird ever since Dash had visited her to find out what Spike should get Rarity for Hearts and Hooves day, and Dash couldn't for the life of her figure out why, so she was already feeling pretty guilty! To hear that she was missing, now ... well, Rainbow Dash had to make sure she did right by Rarity, to fix up for whatever she'd done wrong! But none of this showed on her face. She simply gave a bright grin. "yeah, that's the ticket! We'll find them in no time!" She gave an impish, challenging grin to Applejack. "I don't gotta slow down, you just gotta move faster to keep up! You'll see, this'll be the best! Search party! EVER!" Valen was wholly unprepared for Rarity's sudden and unexpected rush towards him. When- at this stage probably more correctly termed if- he grew older, he would truly appreciate this sight, a mare rushing him. All he could appreciate now was the swift and brutal pain that followed her tight embrace and kind words, which seemed to be a rather common running motif of his time in Ponyville. Still, her words were comforting and her worry made it clear that the pain he felt from every little tuft of hair and nerve cluster spoke truth and wasn't a pure result from his rather weak frame. "Oww! Miss Rarity..." He moaned as he felt something in his ribcage pop and decided to ignore the rather uncouth cracking noise it made with great haste. He went down to all fours as she wearily trotted away and he rearranged his bones to a more pleasing arrangement. When he no longer thought himself a few degrees askew, he sighed and listened to her. Her tone was initially rather frantic but grew calm and soothing as she continued, though whether it was for her or his benefit was surely up to one's interpretation. It may have been the concussion talking, but he wasn't entirely excited about current events. She mentioned that they should perhaps allow him to rest some more before they moved out. This had a solid basis in reasoning but the longer they stayed in some cave far removed from any appreciable avenue of escape the less likely they were to...well, live. No food, no water, unknown routes and unknown perils that would only become greater in difficulty the weaker they both became. Besides, if she had to leave him behind due to his physical weakness, then at least one of them would be in a superior position. And in a mind riddled with the effects of mental defection, it was solid enough math. He shook his head, grimacing as he felt the creaks in his neck from having bent in such an uncomfortable position. He trotted over towards Rarity and did his best to ignore how his hooves felt like there were tiny cracks of pure energy coursing through them in ways most unpleasant. He tossed one onto her back. "I'd...rather we just started walking. Not a thing we may do here and without food or water we risk growing weaker. I may be a fashionable type and, err..." he coughed up something green before continuing, "Not the most physically endowed but rest assured, its better for both if we push forward, Miss Rarity," Valen said with a measure of confidence only the ignorant could have. He then looked around, his eyes adjusted to the harsh darkness. To their right was a very small opening where the stream had once flowed through. What lay beyond was anypony's guess. "Ah, well...do you see anywhere else to go, Miss Rarity? If not, I believe we have our...err, escape, for now at least." At the pained sounds, Rarity pulled back and gave a small "Ah, sorry..." along with a laugh. She was still just really glad to see Valen up and well. Well, as well as could be expected given the circumstances. "I'd...rather we just started walking. Not a thing we may do here and without food or water we risk growing weaker. I may be a fashionable type and, err... the most physically endowed but rest assured, its better for both if we push forward, Miss Rarity,"
The colt said these surprising words as he found his way to his hooves and trotted towards her, something which looked to cause him a fair amount of pain. Rarity still wasn't sure. Could this colt make it in his condition? But perhaps he was right? Would resting really be better when they were so isolated and lost? It could just seal the fate of them both. Gah! Why did this have to be so awful?! It truly was the worst! Rarity stomped her feet in frustration at the dilemma she faced and then sighed. Valen was right. "You're right, dear. If we want to make it through this, we have to keep moving forward," she said in a somber voice. "But please do tell me if it ever becomes too much for you and we'll take a break. I don't want you to have to force yourself." Valen said as he spied a stream carved path leading off to the right. Rarity nodded. She didn't know where it would lead, but It looked like their best bet. "No. I paced this whole area while you were out and I'm pretty sure that opening is the only safe way to go from here..."
She started to trot toward it slowly. "I'll lead, darling. Stay right beside me," she said as she started to climb her way through the narrow opening. It was a kind of tight fit and Rarity could just feel as the gross moisture and loose dirt found its way to varying corners of her body as she forced her way through. She wanted to scream out for a moment, but after a deep breath she forced herself to calm. She had to be strong. She had to be strong for Valen. If she fell apart down here, he would too. Nevertheless, the thought that she'd somehow get stuck dank, dirty cave tunnel was nothing short of terrifying. Eventually, she found her way through and into a much larger cavern with high ceilings, full of rather large and beautiful stalactites and stalagmites. Her magic was telling her that there was also an abundance of gems in the area; that was hardly important though. They needed to find a way out of the caves. Scanning around the area, there seemed to be a number of ways to go. There was a large, open path that declined slightly downward, what looked to be the opening for another wider tunnel to the distant left and an extremely narrow path that curved around the edge and seemed to go upward slightly. "Well, Valen..." she started, as she looked around. "What do you think? Which way should we try?" "Where is he?! I know you're here somewhere!" Pinkie's muffled voice emanated from the tree that Fluttershy, Applejack, and Rainbow Dash had gathered around. "Nope! Not it!" A rubber duck flew out of a gnarled opening set deep in the trunk of the old apple tree, landing with a sad squeak in a scrubby tuft of green grass. A flower pot followed, along with a bath robe, a box of thumbtacks, and a half-eaten cherry pie. "This is SO not cool! How do you lose a baby alligator?" Pinkie poked her head out of the hole in the tree trunk. She was taken quite by surprise that her three friends had gathered there. Popping a smile, she waved to them. "Hiya! Did you lose something too? I seem to have lost Gummy. Once he got away, and I found him stuck inside a jar of sticky sprout jam. I checked all of my jam and he's definitely not there!" Pinkie wriggled her hips, trying to extract herself from inside the tree. "Hhhggh! Uuugh!" Pinkie propped her hoof against a branch to give herself leverage, and heaved all of her weight. The branch snapped, sending leaves and apples thumping to the ground. Pinkie popped out of the hole, landed on her head, bounced, and came to a stop on her back, sending a cloud of dust all over the immediate area surrounding the tree. Pinkie stood up, fluffing dirt out of her mane. She sneezed loudly, her blue eyes watering. "Why are you three looking so grim? I'm sure Gummy is somewhere, or else he wouldn't be anywhere!" 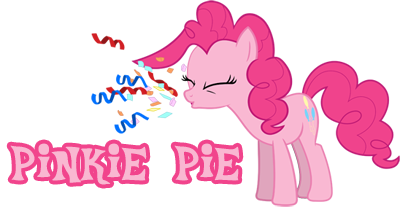 At Dash's mention of the word 'party,' Pinkie Pie's voice suddenly came out of a nearby tree. Fluttershy didn't jump back this time, but her eyes went wide with shock as Pinkie forced herself out of the trunk. Fluttershy choked a bit on the dust the pink pony kicked up, but her shock wore off quickly as Pinkie's rapid words became clear. "Oh no!" she cried out in distress. "Gummy is missing too? Oh, first Rarity and Valen, now poor little Gummy..."
The yellow pegasus began pacing back and forth, her worries once again overwhelming her. "Oh, what are we going to do? This is awful, just awful!" she moaned. Angel leaped to Fluttershy's back and tried to sooth her, but she barely acknowledged his presence. Her mind was involuntarily coming up with disasters that could have befallen two ponies and a baby alligator, but none of the scenarios made much sense. As she paced, the feathers of her wings seemed to fluff out, further showing her agitation. Applejack was stunned at first, but then was completely still-faced when she saw Pinkie fall out of one of her apples trees, taking down one of it's branches down with it. "Pinkie! Heaven's to Betsy! You can't find Gummy? We gotta find Rarity." Applejack motioned with her hooves in a desperate attempt to illustrate to Pinkie that this was not a situation to laugh over. However, she completely understood that the pink earth pony reserved the right to do so at any moment, usually when a pony leasts expects it. "You wanna help us find Rarity and mah cousin, Valen? They went out searchin' for gems and Fluttershy thinks they're in trouble." Applejack had a look of discontent on her face. She loved her friends. But she was just sure that none of this worry was a true emergency. Sooner they found out that everything was fine, the sooner that Fluttershy would quit worrying herself to death. Applejack did have an idea though, an idea that might allow the ponies to figure out where to start looking. "Pinkie, your pinkie sense wouldn't happen to be tingling would it?" Valen rarely, if ever, thought well of his upbringing. He had not labored to earn the wealth that flowed from every single orifice of his family's business and that fact had never sat well with him. He didn't prescribe to this theory that the bosses of a business, the heads behind the hooves, were entirely deserving of their fame. However, as any good hypocrite, he took full advantage of his position and wealth and enjoyed the good life as a result. There were days thus that he found himself upset with the ease with which he could do so, knowing how utterly unworthy of it he was. This was not one of those days. What he would give to be back home! The feel of his silk sheets with pillows made of the finest satin and a mattress stuffed with clouds- Cloudsdale clouds. Instead of pulling himself through the wild water that flowed through the mountain's innards, he could be relaxing in his bathtub that would as a matter of course filled with magically purified and enhanced water. Rather than feel as though he had been pulled through Tartarus, his coat would be the very ideal of perfection and his pelt would be smooth and absolutely divine. He would smell marvelous, not like a pit, look beautiful, not like a ruffian. Yes, Valen wasn't always proud of his upbringing. No, he did not suddenly embrace whatever madness this was. The pair pulled themselves through the tiny hole and the stream, their coats worse for the wear in an extreme fashion. Good manners called for a thorough cleaning once- if- they got through this. That thought gave the colt a moment of pause. If they got out. They were in a heap of trouble, weren't they? Stuck in a cave with no help, not exactly the greatest of situations to be in. Still, he had a unicorn on his side and was quite sure that her little gem spell could be used to some effect. After all, gems grew near the surface after magma had met the air or other forms of gas- right? He wasn't a science pony, but it was a better guess than nothing. Maybe he'd be useful at something finally. He was removed from this moment of personal triumph by Rarity's question, which fit entirely too well into his mindset. The options as presented were none too pleasing. The narrow path that seemed to ascend was tempting, but he doubted that in their shape any path that had peril assigned to it was worthy of further consideration. The obvious path seemed to head deeper into the mountain, and another path to the left could only claim that it was large. He was no expert on the matter, but if a path that large existed, that meant somepony or something had at one point traversed it. Perhaps an intrepid adventurer or gem hunter had spent years working down here? Valen pinned his hopes on the adventurer, for a gem hunter having depopulated it of gems would put a serious wrench in his plans. "Hmm...p-perhaps the one to the left? You could use your spell and we can follow the gems back to the top, since they tend to be...close up there?" Valen added with not a hint of passion nor assurance of success. Betraying how weak his resolve was with his choice through his feeble mixture of words, Valen took a deep breath and started trotting down the path. He made quite a racket. His horseshoes, like the rest of his fashion decisions, had been made with style and personal flair in mind and not with any semblance of stealth considered. If you were dressing to impress, you often had to forgo special functionality. They click-clack-clopped depending on how solid the surface, the echoing sound of a colt's horseshoes dancing far down the path. Unluckily for the mountain duo, each sound would eventually catch the ear of some unwelcome and unpleasant gentlecreatures. As Fluttershy started to panic right in front of her, Rainbow Dash rolled her eyes and waited for her dramatic pacing to bring herself towards the athletic pegasus. She lifted her hoof and stuffed it into Fluttershy's mouth, silencing the frantic flusterment. "Hey!" she said to the pink-maned pegasus, her own voice letting out an embarassing crack, "Don't you worry, they're going to be just fine! You know why?" She pulled her hoof out of Fluttershy's mouth and buffed it on her chest. "Cause I'm Rainbow Dash! And I'm on the job!" She hovered up into the air and took off into the distance, just a rainbow streak through the sky. Seconds later, she had returned, except now she had a Daring Do hat perched on her head, and an eager grin on her face. "To adventure!" she cried, pointing off in a specific direction and starting through the air that way. Seconds later, she came back to the group and murmured to Fluttershy, "Which way is adventure?" Pinkie Pie grinned at Applejack, brushing bits of dust and dried leaves off herself. "Aaaa...aaah....aaaaah...aaaaaaaaaaaaaaaaaah...CHOOOOO!" She sneezed in AJ's general direction, wiping her snout with the back of her hoof. "Whoops! Sorry! That look on your face...heehee, hahahahaha!" Her tone quickly changed. "Rarity is missing huh? Did we check all the spas? Or fabric stores? Or her room? You know she tends to lock herself in there if she's feeling a bit downsy in the dumpsy. If I were Rarity, where would I be? I'd be stuffing my face with cake at Sugercube Corner! No wait, that's me. Gee everypony, I'm totally at a loss here, but if you need my help, Pinkie Pie is on the job! Maybe we'll find Gummy, too!" The pink mare giggled at Rainbow. "Dashie, that hat looks soooo cute on you! I want one!" She trotted back over to her tree, and started to pull objects out. A lamp, a deck of cards, several radishes, an eye patch, a harp, and sock. She bit her lip, one eye closed as she reached deeper in the trunk. "I've got you now, hat! Oh yes I do!" She pulled out a ridiculous-looking pink chapeau with a fluffy white feather sticking out of the top. She placed it on her head, striking a pose. "To adventure! All for one!" She trotted off in Dashie's direction of choice. Gummy poked his head out of her fluffy tail and blinked his glistening purple eyes at Applejack and Fluttershy. Pinkie looked over her shoulder at them. "Are you two coming?! We have some fashionista to find! Follow that Dashie!" "Hmm...p-perhaps the one to the left? You could use your spell and we can follow the gems back to the top, since they tend to be...close up there?" Rarity gave a small nod at the young pony's assessment. Valen was a bright foal. His idea instantly made sense to her. Following the gems could only lead to good things, she'd assume. The upward path was too fragile and the central path almost undoubtedly looked to go deeper into the mountain. The large tunne to the left was definitely the soundest bet. "Excellent idea, Valen dear. I do think that that just may work!" Rarity said with some of her enthusiasm restored. She was beginning to feel that they just might make it. The two of them might make it out of this terrible place and reunite with their friends and loved ones. Yeah. Rarity had to remain optimistic here. She had seen worst. Everfree, The diamond dogs, Nightmare Moon, Discord, having Sweetie Belle turn on her... Rarity had been in a number of less than fortunate spots before and always things worked out. This was sure to be the same. Confidence in her steps, she lead Valen toward the left tunnel. She trotted quietly ahead, her horn glowing to reveal the gems hidden in the cave walls. As she did, she started to notice a few things that seemed slightly awry. Unlike the previous tunnel, there was no sign that there had ever been any sort of stream cutting through this one or that any other sort of natural process was to blame for creating it. No... Rarity was beginning to wonder if it was actually dug. Maybe some pony had been in these caves before, looking for gems or other treasures? No... the tunnel was bigger than a single pony would need. It kind of reminded her of the sort of tunnel diamond dogs would make. She sighed at the thought? She wouldn't be forced to deal with them again, would she? She laughed and shook her head. Well, there certainly were much worse things. Her previous experience had made it abundantly clear that the dogs were a fairly simple lot. Even if it was a different pack of them, she was sure she could get them seeing her way in time. Was it the dogs though? The tunnel seemed somehow even wider than the dogs would need. She looked toward Valen for a moment. The inquisitive colt was undoubtedly wondering the same things. "What do you think might have created this tunnel?" she wondered aloud, curious if he had had any thoughts that hadn't occurred to her. "it certainly wasn't put her naturally." As if on cue, at that moment, a low, loud noise of some variety sounded from up ahead. Rarity couldn't tell exactly what it was. A roar? Rocks falling or shifting? It was indistinct. All the same it caused the white unicorn to pause a moment, and the doubt and worry she had pushed aside to rush back to her. "I'm beginning to wonder if we might just not be alone down here, Valen..." Rarity said with a gulp, her body shaking slightly. Applejack's face was stoned annoyed at Pinkie's sneeze, which gently coated the orange mare in whatever color confetti Pinkie had somehow managed to place in her nasal cavities. She also rolled her eyes at Rainbow Dash's over-powered response to the situation, almost as if she could find Rarity and Valen all on their own. After Pinkie littered Applejack's lawn with junk Pinkie had hid inside the tree, she pushed the argument away for the sake of starting the journey. "Yes, we have enough hats, now let's go! Come on Fluttershy." Applejack stood behind Fluttershy, almost assuming that a light earth pony push was necessary to get the yellow pegasus inspired to move along with her friends. Fluttershy continued to pace, in spite of Angel's ever more insistent tugs on her mane. She was brought to a sudden stop, however, by a blue hoof shoved into her snout. "Hey! Don't you worry, they're going to be just fine! You know why? Cause I'm Rainbow Dash! And I'm on the job!" "Oh, but Rainbow Dash, what if..." She didn't get a chance to finish as the other pegasus zoomed off, returning quickly with a Daring Do pith helmet. Fluttershy had always admired her friend's bravado, and she felt encouraged that Rainbow was so confident. However, Rainbow seemed convinced this would be an 'adventure' like in her Daring Do books. Fluttershy had read one of the books at Rainbow's urging, but some of the parts had just been too scary. She much preferred the romance novels that she and Rarity traded. Fluttershy really hoped this wasn't going to be an 'adventure'. Rainbow flew again again, leaving her rainbow streak, before once again returning, sheepishly asking where to go. Pinkie had produced a pink hat from somewhere, and seemed as eager for adventure as Rainbow Dash. Applejack, at least, was being practical about the whole thing. "Yes, we have enough hats, now let's go! Come on Fluttershy." "Oh... OH!" she said, realizing belatedly that she had to lead the other ponies to Rarity's cart. "Angel, which way?" she asked the bunny on her back. Angel pointed out the direction, and Rainbow and Pinkie took off. As the pink pony ran off, Fluttershy noticed a green head poke out of the poofy hair in her tail. "Gummy? Pinkie, wait!" Fluttershy called out, then ran to chase after her. Well, if she had to have an adventure, at least she had her friends with her. Pinkie hopped along after the blue pegasus, prancing and skipping as the wind whipped her pink locks of curly mane from under her feathered chapeau. She burst into song. "I have no idea where I'm go~ing! It could be anywhere. Off a cliff or to the sea....oh, or a cave! A damp and scary cave, full of bats and things! Slime and mold and mushrooms growing oh so happily!" She stopped dead in her skipping tracks, looking over her shoulder to address Fluttershy. "Do mushrooms have feelings? I mean...think about it! Would you be happy living in a cave all your life? I suppose if you're a mushroom, that would be a yes! La la la, happy mushrooms growing on the walls! Oooh, berries!" The pink mare was distracted by several bushes full of bright red berries. Some had a purple swirly pattern on them; others had a lime-green spots on them. "These look yumilicious!" She plucked two hooffulls of the fruit, looking to them, back and forth. "What was the rhyme again? Berries with spots, eat them lots! Berries with swirls will make you hurl! Or was it spotty berries are bad, they'll make you sad, swirly fruit are yummy for your tummy?" Pinkie sighed. "Guess I'll have to eat them both to find out!" Valen wasn't conceited in the slightest but he'd have to admit to a sense of deep satisfaction when Rarity went along with his idea without even the hint of an argument or debate. It confirmed that despite the rigors of the day his mental prowess was still there and his awareness as sharp as he would believe it to be. He allowed a world-weary smile and a certain desperate and excited glint to take hold of his eyes, reflecting the nervous energy that coursed through him as the duo started to make their way to their chosen escape. His horseshoes clap-clapped almost loud enough to drown out her response, but it was hard to mistake her refined voice in this environment despite nature's dearest efforts. She had the longer and likely more athletic quad of hooves and it wasn't long at all before she made up the distance and they stood shoulder to shoulder. Gems lit the way and in some manner their brilliance was superior in the dangy depths than when being dulled by the bright rays of the sun. It easily could have been a symptom of symbolism but if they truly were his symbol of hope, what beautiful hope he had. Their brilliance, her confidence, his momentary optimism helped shore up the uneasy wail within as his humbled form creaked along, the mind overpowering the body's warning signals with the release of hope. It was beyond powerful. He was content, then, to follow the trail of gems as they fell in an unusual line down the tunnel. He could not ignore how the tunnel was obviously not natural. Too smooth the path his hooves tread, too rounded the tunnel itself. He could not ignore it, but in the watching the trail of hope light above him, he could dare to dismiss it. "It is very big. Maybe an old mining expedition of some sort?" He offered up with every intention of continuing his winning streak. He continued his trot, gamely and with optimism, until it came to a scary end. Well, scary to him anyway, as a low rumble echoed down the tunnel. His ears pinned back as he could sense Rarity pulling back herself in some concern. Her voice followed suit. Valen didn't respond, he backed up with increasingly less confidence and speed until his flank slammed into Rarity. He fell sideways, the smoothness down below doing little to his pelt. "THIS IS A DEAD END YOU FOOLS!" One gruff voice after another shot down the tunnel ahead of three Diamond Dogs who on all fours were running as fast as they could towards the ponies. Dash froze in mid-air and rushed down to where Pinkie was pondering over possibly pancreas-pickling berries, stuffing her hoof into Pinkie's wide-open mouth before the berries could take up that position. "Pinkie!" Dash cried in frustration. "Remember last week, when you were trying to figure out which mushrooms were good to eat, so you decided to eat them all to find out? Or last month, when you did the same thing with the weird pink fruits? No more eating random stuff! Especially not from the Everfree Forest! Who knows what these would do? They might ... make your tail green! Or make you grow another set of hooves! Or turn into a stallion! Or move in slow motion! Or burp balloons! Who *knows* what would happen?!" Satisfied that her warning was sufficiently good, and Pinkie wouldn't go eating random stuff anymore, Dash turned back around and started flying off in the direction Angel had indicated once more, slashing her hooves against nearby leaves. Muttering under her breath so none of the others could hear, she monologued, "Daring Do's incredible botany knowledge had come in handy that time, as she saved one of the packponies she had hired from ingesting the poisonous berries ... so she moved on, inexorably seeking out the lost royal children stolen ... no, foalnapped ... by the evil ... evil ... Hrm. What would make a good bad guy... er ... bad bad guy ... good at being bad ... "